Have you heard about Bio X4? If not or already heard about it, you may still be interested to read this. Probiotics are helpful, live bacteria that are incorporated in our food to help our digestive system function at its best. These bacteria are good for our health as they keep our digestive tract well-balanced with enzymes. These enzymes, on the other hand, keep our bodies healthy. 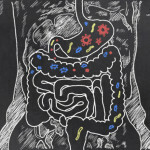 Although probiotics do live inside us, we can also find a lot of them in our foods and supplements. This article is all about the Bio X4. It is a well-known revolutionary new compound that is supplement-based. Fortified with 4-in-1 nutritional blend, the manufacturer promises greater health benefits. Probiotics are usually beneficial active yeasts and helpful bacteria that are living together in our stomachs and intestines. They check and balance everything that is happening in our digestive system. Bio X4 as the company claims is packed with efficient probiotics. Their aim is to improve our digestions and regulate our bowel movement. It can also suppress our appetite and strengthen our immune system while energizing our body. For those who are trying to slim down in a very natural way, the Bio X4 seemed to work best with its goals. As the company says, it is free of drugs, no fillers, have pure probiotics and natural components only. And with regards to those who want to have a more stable digestive process, this product looks to be a perfect project to start with. 4 billion colony-forming units (CFUs) of probiotics. These include all the five beneficial yeast and bacterial strains that are available in blends. 100 mg of green tea with 50% EGCG (epigallocatechin gallate) concentrate. The probiotics available in CFUs are live beneficial yeasts and bacteria. These are known to be effective in maintaining our digestive health and in keeping bad bacteria out of our gastrointestinal tract. Lactobacillus acidophilus blend is composed of L. acidophilus, L. rhamnosus and L. Planterum. Bifidobacterium blend is composed of the B. lactis and the B animalis strains. Green tea. As shown in some studies, green tea contains EGCG. A polyphenol, EGCG is a natural compound that can enhance the body’s fat-burning activity. Caralluma fimbriata. Known as an appetite suppressor it helps in reducing weight if taken considerably. Amylase which help in breaking down sugars. Lipase which is responsible in breaking down fats. Bromelain aids in breaking down protein and also serve as relaxant for irritable bowel syndrome. There are actually clinical data that can support the claim of Bio X4’s efficiencies. For example, Caralluma Fimbriata has been clinically proven many times that it can suppress appetite. Even those who have uncontrollable craving for food and have bad eating habits. It is also verified that it can help in improving our mood in spite of its inhibiting feature that can suppress the appetite. EGCG is also known to be an effective metabolism booster. Green tea has lots of it that are essentially incorporated in the Bio X4. However, there are not much evidences to prove that the digestive enzymes really work like what the manufacturer says. Bio X4 reviews also generally point that most users lose extra pounds weeks after using the product. So the bottom line is, since this product is loaded with essential ingredients and plays its role as a weight loss supplement, we can assume that this may work among lots of us. Bio X4 is manufactured by Nucific Inc. which main office and warehouse is located at Tarzana, California. So categorically, this product is 100% made in the US and can be trusted because the company is openly emphasizing its goals in supporting health-related programs. Unlike with other popular health supplements that have questionable origin, many health enthusiasts put their trusts more on products that are made in the US like the Nucific products. Nucific is also manufacturing other products that are also known for their fat burning potentials, reducing appetite and boosting metabolism. The reviews we actually gathered generally professed about the benefits we can gain from Bio X4 and everything points to digestive health up to treating urinary tract infections and strengthening the body’s immune system. But if we look at the ads and videos, Nucific wants us to know that the following are what the product is intended to work on. Help in improving our immune system making us more resilient against diseases. Serve as support to our digestive system for a healthier digestion. Its food suppressant components can ultimately stop us from eating sugary food. Makes us lose our appetite that even at the site of our favorite food we can resist ourselves from eating it. It helps increase our metabolic rate. Its fat burning elements are efficient when losing weights. Help those who easily develop gas by maintaining the right number of helpful bacteria in their digestive system. 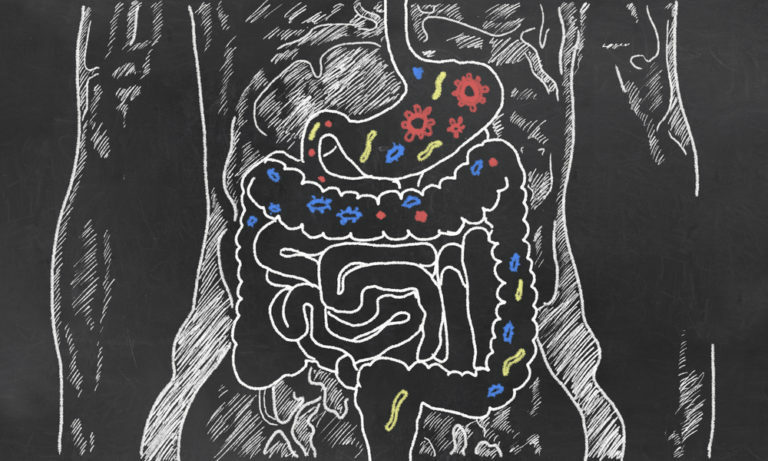 It checks and balances our gastrointestinal flora making our gut to function properly. It can boost our bodies’ energy levels as well as improving our productivity. The Nucific Bio X4 is advertised as a probiotic, metabolism booster, appetite suppressor and aid in digestive functions. We also gathered a lot of reviews to see if this product really stands up on what it supposed to do. For some people, they found relief with this product instantly. Some felt that they have increased energy level, more suppressed appetite, reduction on food cravings especially the fatty and sugary food and have better mood disposition. Some users also attest that they have cured their persistent case of urinary tract infections (UTIs) which the over-the-counter-drugs and prescribed antibiotics cannot prevent. On the more positive side, this product is sometimes thought to be the complete supplement to stop all problems that involve many intestinal problems and this is proven true by certified buyers. However, while others are totally blissful about the excellent results they got from painstakingly taking the capsules regularly, not everyone is happy with their outcome. Accordingly, some users did not experience any changes from their previous conditions up to finishing their supplies. So basically when it comes in the aspect of losing weight, it seems that this product has different effects on every individual. Some lose a lot of pounds in just few months while for others, losing weight is totally unreachable. Also, while others may cure their bloating, some individuals can develop gas once this supplement is taken regularly. Nevertheless, we can also agree to some reviewers’ comments about the different factors that can affect the efficacy of the product when it comes to losing weight. That in order to make the product effective for weight loss, this should be paired with a very strict diet program that involves eliminating sugary and fatty foods. Examples of these food are bread, dairy, meat, sweets and the like. Some even suggests that Bio X4 intake should also be used along with the CLX3, another product of Nucific that act as a Deep Cell Activator. More so, some people who are allergic to caffeine also believe that the green tea extract should not be in the Bio X4 if your purpose is just to lose weight and maintained a healthy digestive system. Especially pregnant women, they should be warned against using the product because green tea can increase your metabolism like caffeine does. So when we asked buyers if they will recommend this product to their peers, many strongly agree with the recommendation. A lot, however, said they will never do it. In this scenario, and based from our observation, the success of Nucific Bio X4 on an individual will always depend on his or her rate of metabolism, reaction to the strains, lifestyle, mode of taking it and how much of it the individual is willing to take. Most of Bio X4 components have been proven to be effective in their uses. Presentation led by Dr. Amy Lee conveniently makes this product credible. Comes with a 90-day money-back guarantee. Not associated with any scam issues. Does not contain lactose, fillers and everything is gluten and lactose free. Ingredients are all 100 percent natural. No solid evidence the digestive enzymes can really lead to weight loss. Some people did not experience positive results even after weeks of use. Side effects such as gastro-intestinal disturbance happen to some users. At present, people still need to see more positive testimonials. Based on some users’ recommendations, taking one to two capsules of Bio X4 before each meal can render the supplement more effective as it can interact quickly with the food enzymes. However, according to University of Maryland Medical Center (UMMC), one must always check the specific recommended dosage on the label of any probiotic supplement before taking it. For the maintenance of intestinal health, needed is 1 to 15 billion CFUs daily. This means that 3 capsules (1 before meal) of Bio X4 equivalent to 12 billion CFUs are needed. To treat or prevent symptoms of diarrhea, one has to take 10 to 15 billion CFUs per day so 3 to 5 capsules of Bio X4 a day is more than enough. If you are under treatment for diarrhea and taking antibiotics, you must take up additional 2 billion CFUs about 2 to 3 hours after taking antibiotics.This means that as you take 3 capsules of Bio X4 with 12 billion CFUs to maintain digestive health, add 1 capsule x 3 times a day would be 6 capsules all. 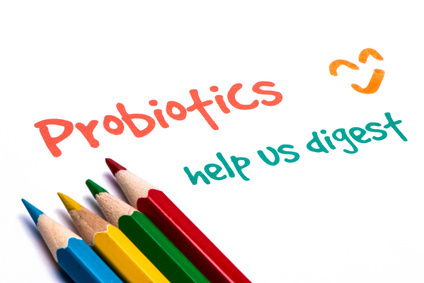 UMMC also said that it is important to note that not everyone can be supported by probiotics. Those who have weak immune system, undergoing chemotherapy or have an artificial heart valve must be automatically out of these supplements. When Nucific released its ad about the product, we were not surprised when some people called it the Bio X4 scam. However, we must realize that whenever there is a new product that is gaining popularity, it becomes natural for the public to judge it based on how they see it and how they read it. And while we do that, the sufferers buy the product, use it and declare it god-sent. This is how and why reviews and self confessions vary. 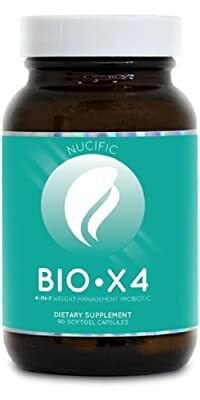 In the case of Nucific Bio X4, a lot of reviews talk about the lack of research involving the product. But if we look at every part of Bio X4 particularly at its components, all of these have scientific back-ups to prove their potency. Only the digestive enzymes we think should have better and solid medical evidence to prove its worth. So in essence, we can only take the words of the satisfied users including the unsatisfied. While the reviewers are a lot but did not use the product, their reviews can only serve as guides. For us, Bio X4 is one of the safest probiotic supplements out there. It is literally full of active probiotics and beneficial ingredients and therefore worth a try. However, it is also important to note that not all people can get the same benefits from Bio X4. Judging from those who did not like the product, the Bio X4 may not be 100 percent effective for everybody. Although some guys have reduced appetites they also experienced bloating in which the culprit could be some of the strains that these people are allergic to. Though Bio X4 may not guarantee total satisfaction, what it contains are not just mixtures of minerals and vitamins. All that’s in there are powerful strains of good organisms and natural plant extracts. And these are what people need to get cured with their digestive issues. For us, we like this product because it doesn’t only looks legit but what it contains are potent elements that promises good results.